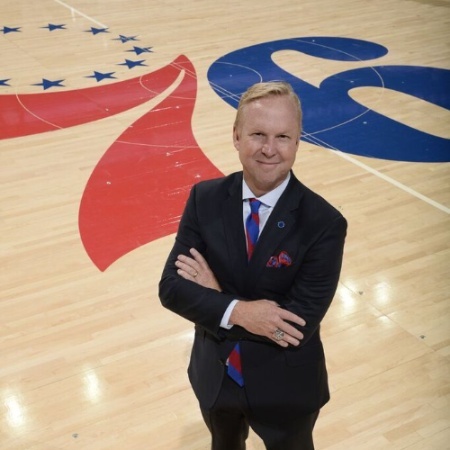 As President of the Philadelphia 76ers, Chris Heck oversees content, marketing and branding, ticket sales and service, sponsorship sales and activation, innovation strategy and business development. Tasked with the goal of rejuvenating the sales and branding operations for one of sports most storied franchises, Heck endeavored to fuse the legendary 76ers heritage with the spirit of the new Philadelphia fan. Under his supervision, Heck led the 76ers to a No. 1 ranking in new season ticket memberships and doubled the new season ticket member fan base, while maintaining a top-five ranking in the NBA's season ticket member customer service surveys. With Heck’s guidance, the 76ers sold the five largest partnerships in franchise history, increased corporate partnerships by 30 percent annually and established Patriot Partner and Training Complex founding partnerships. Through Heck’s leadership, the 76ers secured the first jersey patch sponsorship in “big four” sports history and developed an industry-changing ticketing platform with partner StubHub. He played a critical role in the development of the Philadelphia 76ers Training Complex, home to the Sixers Innovation Lab Crafted by Kimball, where he holds a seat on the Lab’s Board of Governors. Prior to the Philadelphia 76ers, Heck served as the President of Business Operations for the New York Red Bulls (MLS), SVP of marketing and business operations at the NBA and oversaw all business and marketing for USA Basketball’s Senior Men’s and Women’s National Teams. Heck has held senior positions with Villanova Sports Properties, the Miami Heat and Philadelphia Eagles. Named to Sports Business Journal’s Forty Under 40 list in 2008, Heck holds a bachelor’s degree from Villanova University and has served as an Adjunct Professor at Columbia University. He currently serves on the Board of Advisors for MSP Sports, Cooper’s Ferry Board of Directors, the Sixers Youth Foundation and Philadelphia Sports Hall of Fame. He and his wife, Mary Beth, have three children and reside in Wilmington, Delaware.